Former DDYSC and Atlanta United U-18 Lagos Kunga has been called into U.S. U-20 training camp in London, England. This is Kunga’s first U.S. U-20 call up. U.S. Under-20 Men’s National Team head coach Tab Ramos has named a 25-player roster for the team’s first international training camp of the year, taking place from April 3-10 in London, England. The camp will not only aid the USA in preparation for the 2017 FIFA U-20 World Cup in Korea Republic, but will also allow U-20 MNT head coach and Youth Technical Director Tab Ramos to evaluate many European-based players. 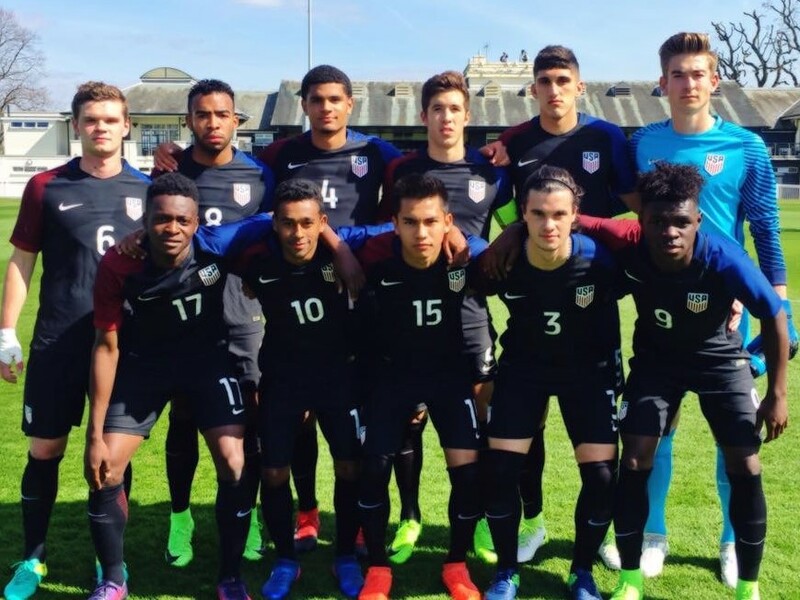 The USA is set to open Group F play of the 2017 FIFA U-20 World Cup against Ecuador on May 22 followed by Senegal (May 25) and Saudi Arabia (May 28). Incheon Stadium will be the host venue for the USA’s first two matches, while Daejeon World Cup Stadium will be home to the third match of group play. The England training camp marks the first gathering of the U-20 MNT since the USA became the first team to win the CONCACAF Under-20 Championship on March 5, after defeating Honduras on penalty kicks in the final. Six players from the CONCACAF Championship team, who defeated Mexico for the first time in the tournament since 1986, are making the trip to London, which is set to include several scrimmages.